The mountain gorillas are the most tourist attractions in Uganda which have therefore promoted more gorilla safaris in Uganda. However the gorillas have got very many threats which kill them and hence reduce the number of gorilla trekking safaris. However since they attract more Uganda tours resolutions have been put in place so as to increase their number and also promote more Uganda gorilla visits. –The number of armed guards has been increased in the areas where gorillas are found so that safety is strong and that will increase more gorilla safari visits in Uganda. -There is an introduction of gorilla census so as to know their population and be able to keep them safe. 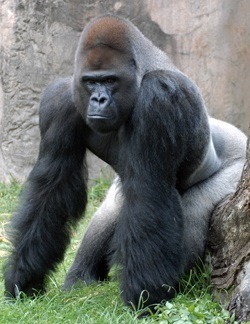 -There is education of people about conserving gorillas so as to make every one like them. This makes people look after them very well hence more Uganda gorilla tours. -Tourists stay meters far away from the gorillas so as to stop any spread of diseases. -Local people have been encouraged to look after the gorillas and to feed them well. This has provided good health to the gorillas hence more gorilla safaris to Uganda. The areas near the National parks have been exaggerated so as to solve the case of loss of habitants. This has therefore enabled their stay hence promoting more gorilla visits in Uganda. Local people have been encouraged to go for Tourism courses, they have been educated about conservation of the forested areas and those in schools have been given tourism books so as to read and understand the ways of how to keep the rare gorillas. This has developed the tourism sector and promoting more gorilla trekking safaris hence developing Uganda as tourist destination. Prime Uganda safaris & Tour Ltd.